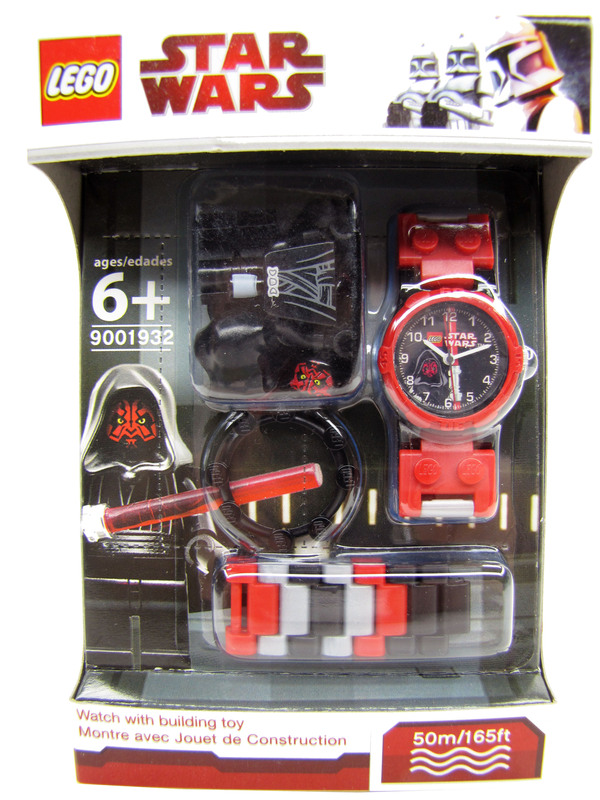 Build your own LEGO Star Wars watch! Start with the red and black face, then add red, black and gray links to build the watch band in any pattern you like. Includes an illustrated image of a LEGO Star Wars Darth Maul minifigure on the face. The two links around the face feature standard LEGO studs for attaching the additional LEGO elements that are included. Add the studded bezel and minifigure, and you're ready to tell time the LEGO Star Wars way! Darth Maul minifigure with lightsaber included! Watch face features image of LEGO Star Wars Darth Maul minifigure! Water resistant to 165 ft (50m). Battery included.